Mint or parchment pickguard for ocean turquoise ? Got questions or suggestions? Want to show the world your dressing room creations? Post 'em here! 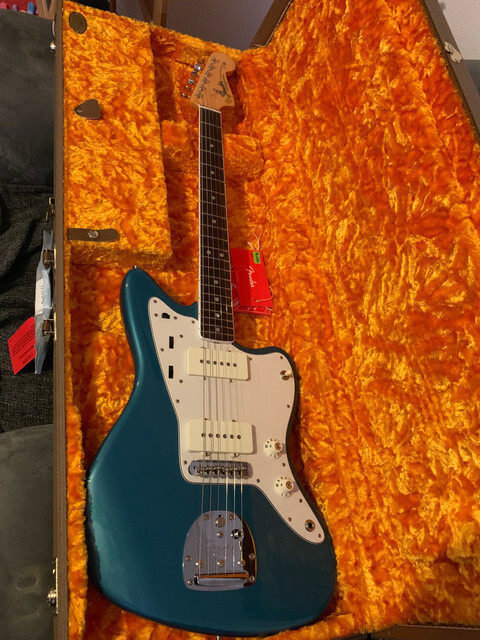 I have a Ocean Turquoise Jazzmaster (the new ones, American Original 60s). I'm not a fan of the tortoise pickguards. The question is : would you go mint or parchment ? Or any other suggestion of course. 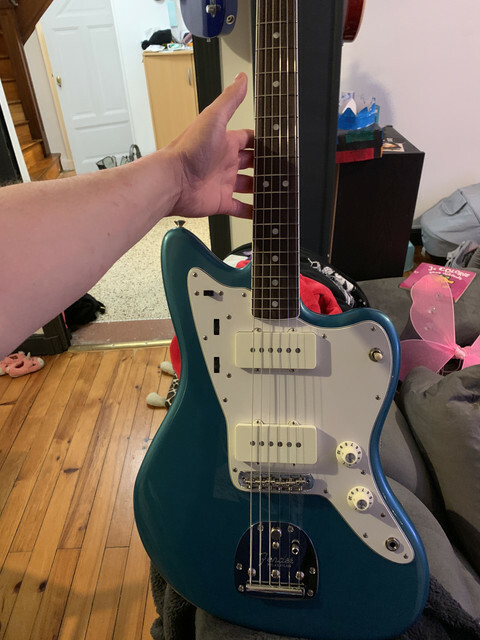 Re: Mint or parchment pickguard for ocean turquoise ? Tough one but I think I'd second the parchment. It'll match your pickup covers nicely. Parchment is absolutely the way to go here. The greenness of mint seems to throw off the appearance of a body's color in my opinion. Good choice. I'm actually a huge fan of mint on blue-green offsets, but in recently months I've been coming around to preferring parchment and white much of the time. I think parchment for OTM is a perfect choice. It looks so good with the tones of the OTM. I can always change later if I find it "too white"
Parchment or cream brings out the best of OT. My Thin Skin has mint... you done screwed up, buddy. I like the Mint to go with the vintage 60's look. Unless your modding it for your style or look. Sit Back, Shut Up and Hold On!